Milton Rotary Club members handed out over 1,000 pamphlets to commuters at the Milton GO Station on Thursday, Oct. 24th. to promote World Polio Day and Rotary's global efforts to eradicate polio. This is an annual initiative by the Milton Rotary Club. 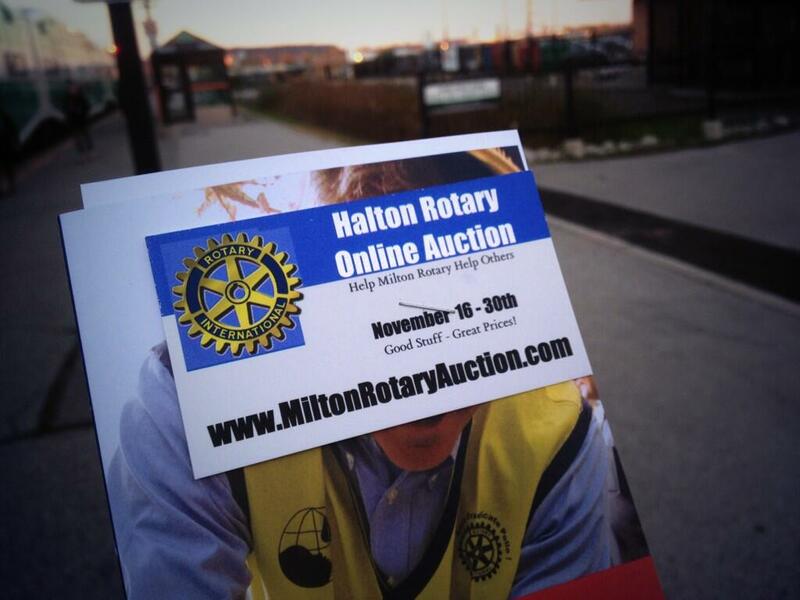 Members reminded the public to support Rotary's annual online auction at www.MiltonRotaryAuction.com so that some of the funds raised can go to polio immunization efforts, in addition to Milton youth projects. In 1985, there were 350,000 people affected by polio globally. Thanks to the efforts of Rotary International, and its partners the World Health Organization and the Bill and Melinda Gates Foundation, there were only 223 cases of polio worldwide. Thanks for helping us help others.